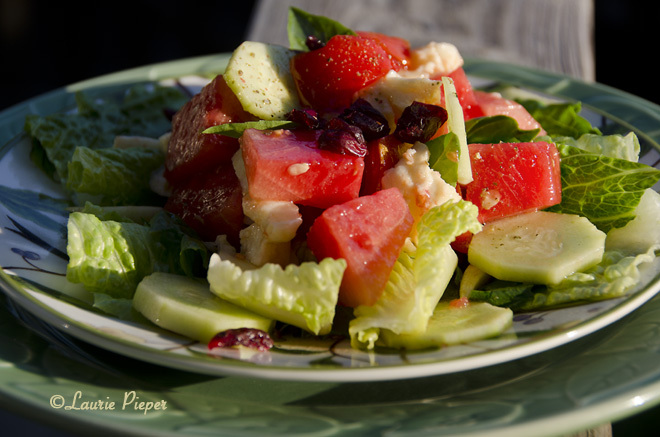 The other day I came across a recipe for a watermelon, tomato and red onion salad which was the inspiration for my Watermelon Dinner Salad. The flavors of watermelon and tomato blend surprising well and the cranberries add a little tang. 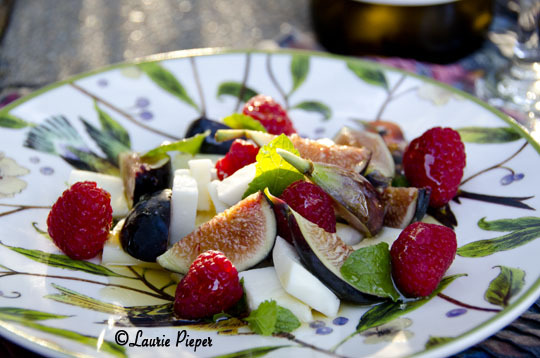 This is a refreshing dish for summer and can be served as a light meal or as a first course. 1. Combine the dressing ingredients in a jar. Screw the lid on and shake until ingredients are well-blended. 2. 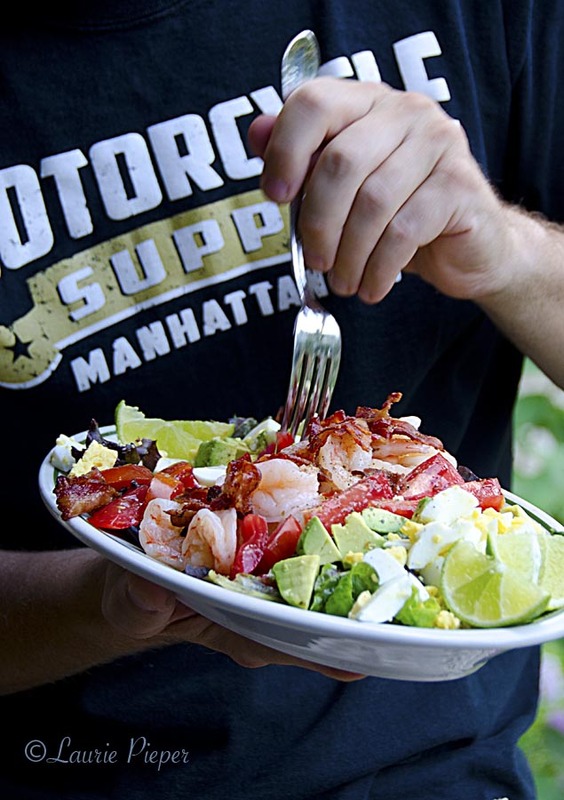 In a large bowl, gently toss together the watermelon, tomatoes, cucumbers, mozzarella and dressing. Chill for about 1 hour before serving. 3. Just before serving, wash and dry lettuce and basil. Divide lettuce between plates. 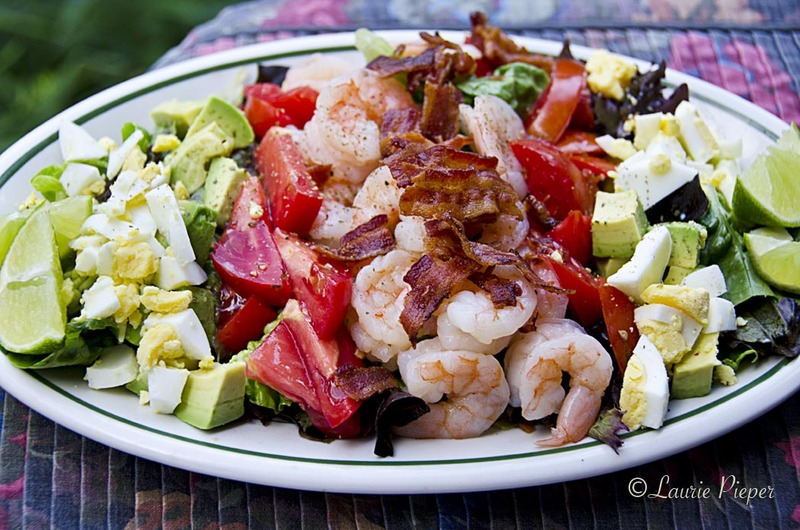 Top with salad. Garnish with basil leaves, dried cranberries and freshly ground pepper. Drizzle with a little extra honey. Enjoy!